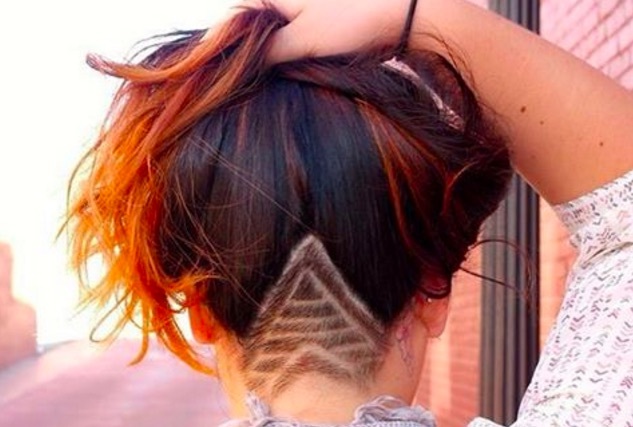 We're dazzled by these "hidden hair tattoos"
You know us, we LOVE ourselves some hair trends. And as much as we would love to do ALL the crazy things to our hair, we don’t think our locks could handle all the craziness, and, real talk, sometimes our school/work/life situations don’t allow for us to experiment with color and cut in the ways we dream. That’s why we’re such huge fans of the new “hidden hair” trends, that let us wear our hair down and look like we just have no big deal, shoulder-length hair, but then when we throw our hair up into a messy bun, SURPRISE, it’s a crazy hair party! Looking toward the future, the question, of course, becomes what happens when you’re over your undercut and want to grow your hair out. We asked celebrity stylist and Mane Addicts editorial director Justine Marjan about the grow-out process. Cool, so we got ourselves a game plan, everyone, to the salon, #hiddenhairtattoos for everyone!